It might surprise you to know that even in this winter weather, ensuring your horse drinks enough water is vital. This is even more important if they are being worked heavily. 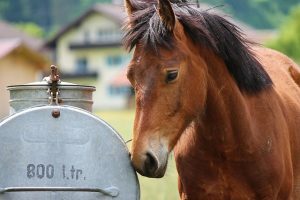 If you’re not sure how much water your horse is drinking on a daily bucket, you can try using a bucket system over a few days and monitor intake that way. Sometimes, though, that isn’t practical. To learn a bit more about horses and hydration, we found a very good article from the UK magazine, Horse & Hound. You can find the article here. While it is based in the UK, they are currently having a long spell of hot weather. Here in Australia, we are used to conditions like this but it never hurts to be reminded and keep on top of it.